The Board has determined this event will be a Non-Elimination Matchplay, to promote maximum participation. 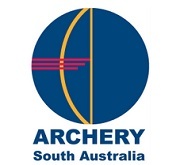 The Ranking Round is an Archery Australia Registered QRE. If your email address is not on your membership record, either a message will appear saying the email address is not in the system or someone else will have received the email (e.g. your Club). You will need to contact your Club's membership administrator to request a valid email address be added to your record so that you can retrieve your details.